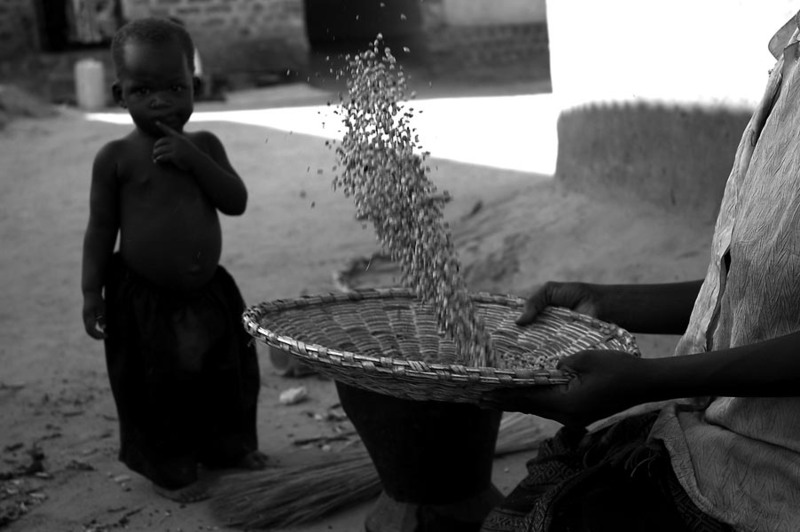 A little girl watches her mother seive grain. Her mother recently returned from the jungle having been abducted by the LRA. Luckily she was accepted back into a family in Achet. She has since married and ex LRA rebel who also escaped.